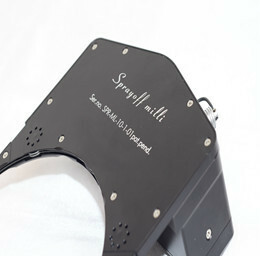 - All of them fit within its specific matte box, taking only the space of the front filter holder. - Easy and very fast setup by sliding in and "plug'n play". 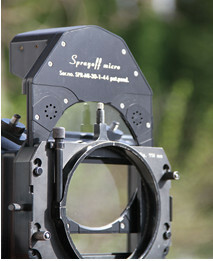 The Sprayoff giga is built for the use on the ARRI MB-14 only. 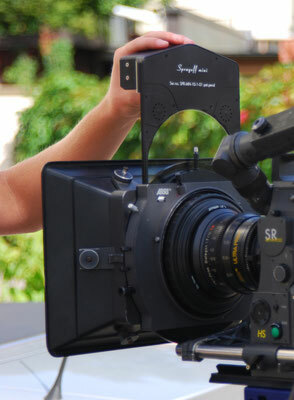 It has to be slided with its dovetail on the swiveling matte box frame. Then all the filter trays and donuts, as far, as necessary, can be slided on its reverse side, also on the dovetail. Due to its higher power consumption (peak: more than 5 amps./24 V continuous current: 1,5 amps/24 V) it should be powered externally using a 24 V source. *filmstoff rain cover PRO tailored to ARRI Amira. The camera is fully rainproof covered. 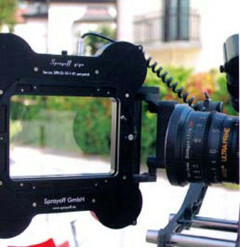 Space for extra accessories like Hot Swap Adapter and matte box systems has been considered in the design. Clear displays provide access to all important camera components, as well to the fold-out LCD viewfinder. The proven "Fold Away" concept allows free use of Follow Focus and side views to the lens. The Amira PRO rain cover fits both camera configurations with fixed focal length lenses and with longer zoom lenses such as Angenieux Optimo 24-290mm. 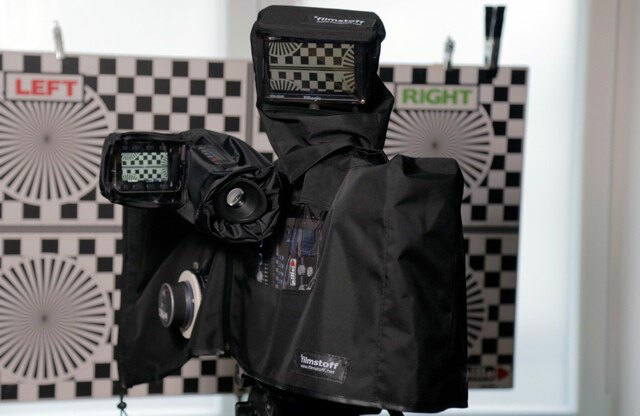 All PRO rain covers come with separate rain protection for assistant monitors and front extensions for longer zoom lenses connected by Velcro. *filmstoff rain cover PRO tailored to RED Epic / RED Scarlet camera. 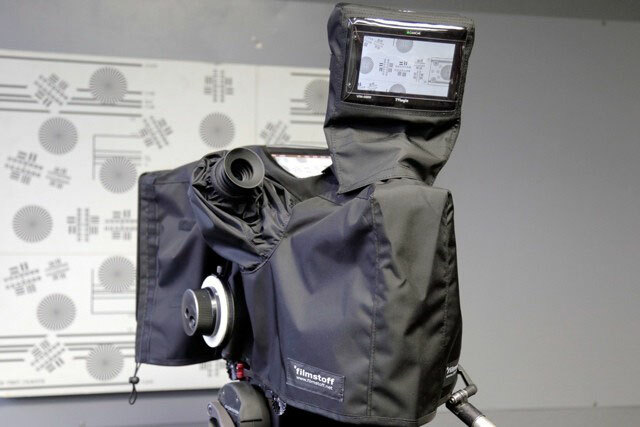 The RED Epic / Scarlet PRO rain cover fits both camera configurations with fixed focal length lenses and with longer zoom lenses such as Angenieux Optimo 24-290mm.